Between the 21-25 september, it took place the 32nd PERUMIN Edition, one of the most important worldwide conventions in the mining sector, in the city of Arequipa, in southern Perú. The event gathered the most important worldwide suppliers in the mining industry, calling together more than 850 stands of local and international suppliers, as well as more than 5.000 participants. High-level conferences were held in which they were presented topics related to the future of minery in Perú, progress of the most significants projects, extensions and the latest in technology and logistics in the sector, among other topics. 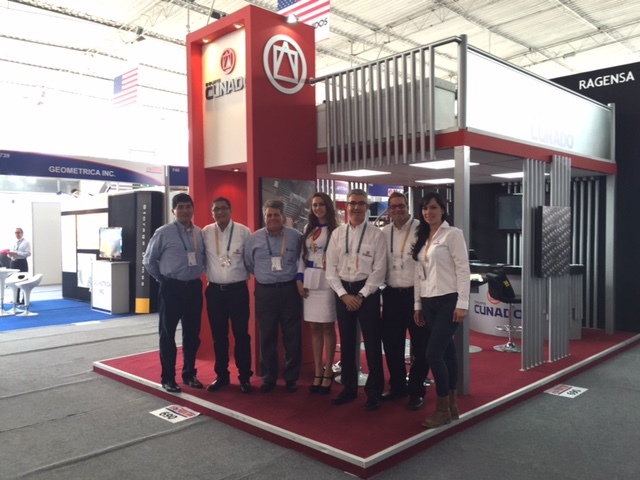 Cuñado Group was present, once again; in this important mining convention with and excellent stand, in which attended all his sector clients; discuss with suppliers and showed its whole supply portfolio to the thousands of people who attented the event. Cuñado Group was represented with by a delegation of more than 10 staff of the companies CUPERSA, RAGENSA and GRATING; as well as hedquarters staff presence.